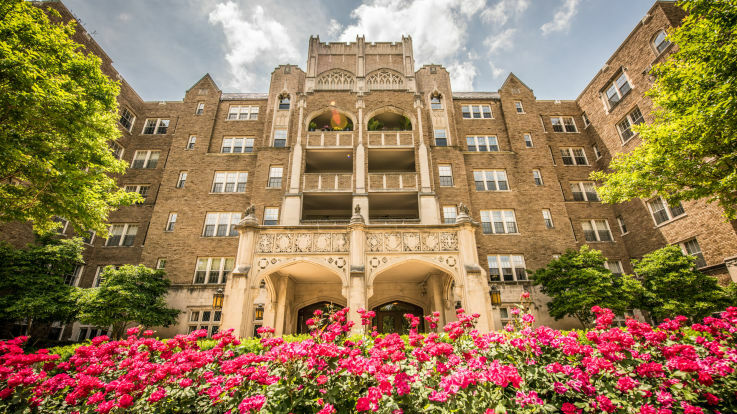 Located in the shadow of the iconic Washington National Cathedral, Cathedral Heights serves as a tiny, quiet neighborhood right in the middle of one of the most exciting cities on earth. Unique to the city, many residents opt to use a car, as parking isn’t the hassle here that it is in the rest of the city. This is truly a special neighborhood. Our studio apartments in Cathedral Heights are truly outstanding, with conveniences that are absolutely second to none. For starters, the architecture of our building is exquisite, built in 1929 from stone. Our heated lap pool is perfect for exercise or some poolside reading. We include in-hope washer and dryers, so don’t worry about finding the nearest laundromat. At Equity, our main priority is to find you the apartment that you’ve been looking for without breaking the bank. It’s what we do. Let’s get you set up in a studio apartment that you’ll be excited to come home to.